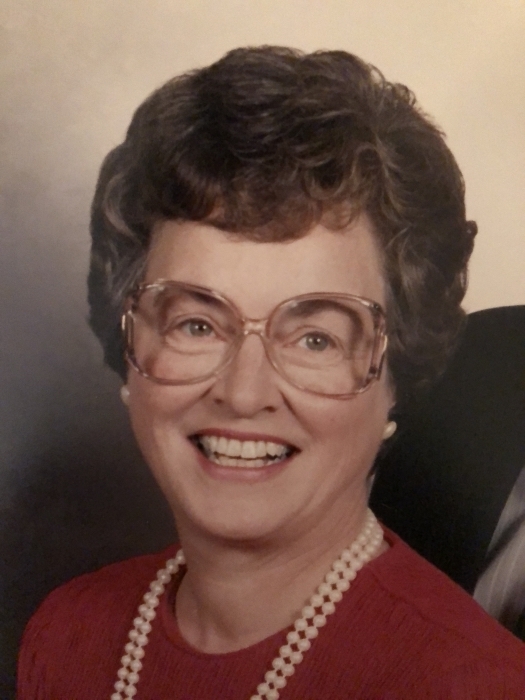 Obituary for Jeannine M. (Hoeing) Stanalonis | W. Orville Kimmel Funeral Home, Inc.
With her loving family by her side, Jeannine M. (Hoeing) Stanalonis, 84, passed away Friday, October 5, 2018 at VibraLife Senior Living Community, Mechanicsburg. Born October 2, 1934 in Toledo, OH, she was the daughter of the late Clemens J. and Dorothy E. (Gootee) Hoeing, was raised in Pittsburgh and graduated from St. Wendelin High School. She worked as a secretary for West Penn Electric in Pittsburgh and after moving to Palmyra, worked for Forge Street Elementary School. She was the widow of the late Bernard "Bernie" G. Stanalonis, who passed away in 2004 after 50 years of marriage. In addition to her parents and husband, she was preceded in death by her son-in-law, Robert Kinch. Jeannine enjoyed cooking and was an excellent calligrapher, even teaching classes in Naples after she and her husband retired there. Her greatest joy, however, came from caring for her beloved family. She was raised in the Catholic Church and attended St. Leo the Great Catholic Church in Bonita Springs, FL. After her family moved her back to the Harrisburg area in 2012, she attended St. Margaret Mary Alacoque Roman Catholic Church. Surviving is her daughter: Ann Kinch, Harrisburg; her sons: Gregory Stanalonis (and his wife, Jennifer), Frackville, Paul Stanalonis (and his wife, Heidi), Mechanicsburg and Bernard Stanalonis (and his wife, Melissa), Chambersburg; two sisters: Marilyn Hoeing, Pittsburgh and Karen Schneider (and her husband, James), Indianapolis; one brother: Gary Hoeing (and his wife, Charlotte), Southbury, CT; 6 grandchildren: Gregory Robert, Amanda, Ariel, Christopher, Kyle and Wesley; and many nieces and nephews. Mass of Christian Burial will be celebrated 10:00 am Wednesday, October 10, 2018 at St. Joseph Catholic Church, 400 E. Simpson Street, Mechanicsburg, with Father Timothy Sahd officiating. Viewing will be held from 9:00 am until 10:00 am Wednesday at the church. Burial at Lady of Dawn Cemetery, Shenandoah Heights, will be held at the convenience of the family. Contributions in her memory may be made to Celtic Hospice, 900 Century Dr., #201, Mechanicsburg, 17055 or the Alzheimer's Association, 2595 Interstate Dr., Suite 100, Harrisburg, 17110.